Right now in Maricopa County’s Northeast Valley, a family is confronting the challenges of divorce and negotiating child custody. Perhaps it is a family in Paradise Valley considering if step-children’s visitation will be negotiated differently than biological children. An unmarried parent may be trying to determine who will have primary custody of their child. Or you may be a parent in Scottsdale that divorced years ago and wondering how you might be able to move your children out-of-state. The possibilities that arise in custody disputes are nearly endless. A Scottsdale child custody lawyer will be able to help no matter the details. To help you protect your interests as a parent while minimizing the adverse effects of a family law case on your children, contact the Belt Law Firm in Scottsdale. Child custody attorney, John C. Belt is the father of six and has been a foster parent for several children who were in search of a stable home life. He has a deep commitment to children’s rights not only as a parent and foster parent, but also as a lawyer. In fact, Mr. Belt entered the legal profession with a focus on protecting the rights of children. After nearly two decades of practicing law, the focus of the Belt Law Firm continues to be comprehensive family law representation with a special emphasis on the best interests of children. If you and your family are going through a divorce, your children may be struggling with the changes to the family’s normal routine. 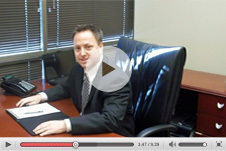 At the Belt Law Firm, we are committed to making these transitions as smooth as possible. We will help you determine the most beneficial parenting plan and address many of the common issues that arise when child custody is part of a divorce. Whether you and your partner are married or not, if you are separating and you have children, we can help you maintain a healthy relationship that will be best for you and your family. Though your romantic partnership may be coming to an end, your partnership as parents will continue. We have helped innumerable clients in Arizona establish custody agreements that help them avoid future parenting conflicts. Call us at 480-837-3600. When you contact an experienced family law attorney, we will explain how an Arizona family law court regards child custody disputes. Aggressively attacking one parent and being uncompromising in negotiations are not typically the way to you and your family’s best interests. Family court judges want to see parents working together to achieve what is best for the children. Typically, a judge will resolve disputes by requiring full participation and cooperation of both parents in creating a parenting plan. See the Model Parenting Plans for the type of agreement you will be expected to consider. The details and logistics will be crucial in family law court; maintaining a cordial relationship between parents will be essential to develop the parenting plan. This can be facilitated by the right child custody attorney. With Scottsdale child custody lawyer, John C. Belt working with you, you will get a clear understanding of the best way to negotiate your Arizona divorce. Developing a fair and useful parenting plan through calm discussion, gentle compromise and honest agreement can occur. In some cases, however, it will be necessary to take a child visitation or custody dispute to court: a history of violence, substance abuse, or other issue that questions a parent’s fitness may require additional negotiations. 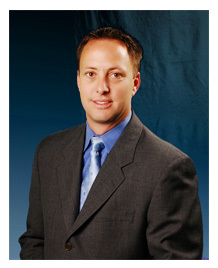 Mr. Belt has the experience to handle any child custody case in Arizona. Whatever the circumstances of your case, call us at the Belt Law Firm: 480-837-3600. We will offer candid, practical, and compassionate guidance.